Provenance: Private New York City Collection, collected in the 1970’s. 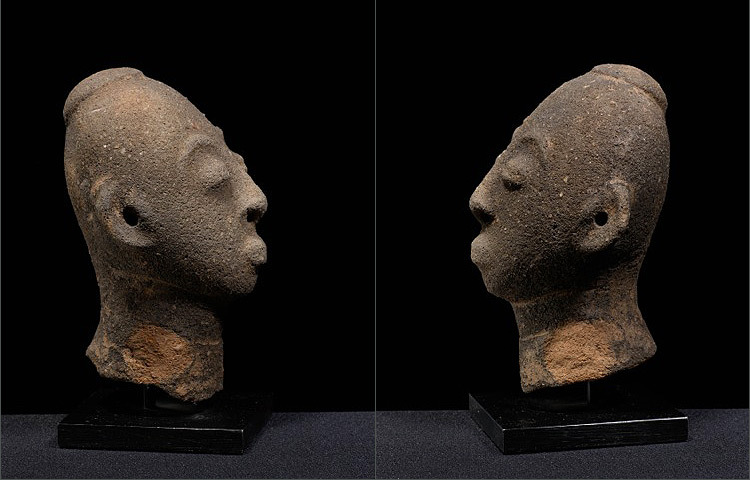 The Akan made terracotta heads and figures as memorials to important deceased individuals. 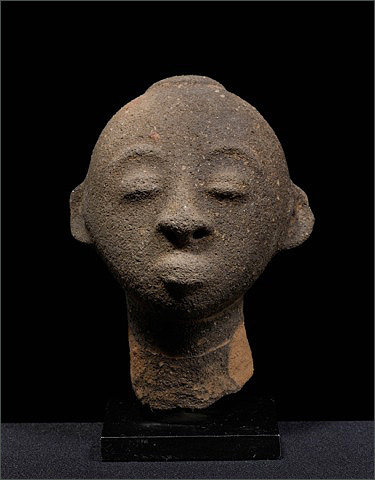 Although incredibly old, this example still exhibits classic Akan facial features such as arched eyebrows and small almond shaped eyes. 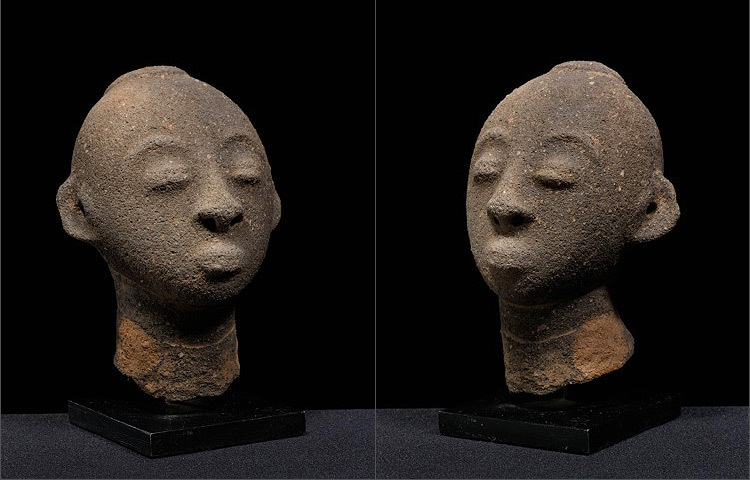 Akan heads are very humanistic and give off serene emotion. 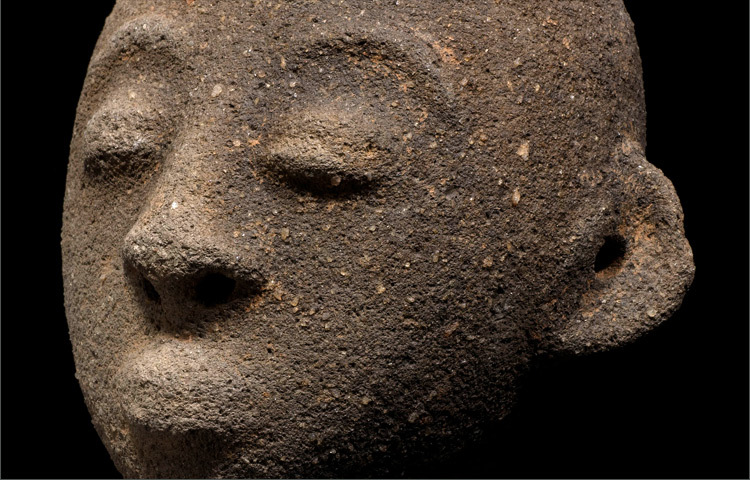 The clay’s texture is heavily encrusted.